Sometimes individuals can not be the best them because they are too busy focusing on what others are doing. When you take time and focus on your own life, you improve your well-being. You should constantly be a work in progress. 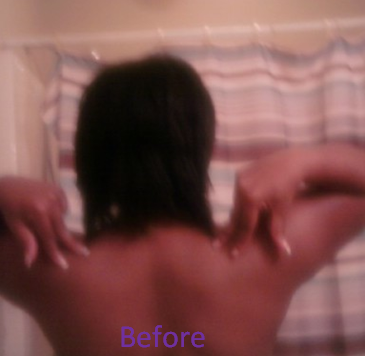 I began my journey towards healthier hair in September 2010. I was one of the people who would relax and colored her hair in the same day. My hair was damage until my father thought my hair was not gonna grow back. I grew up with a nice length of hair but as I got older I damaged it severely. I began my journey toward a healthy me about 4 months ago. Even though my hair needed help also, I did not focus on my hair that much because I was spending all my time on my eating/working out habits. I have decided to start back focusing on my hair more starting now. These may not be the best pictures because I wear a protective style a lot but I am going to try to show progress throughout my journey. When I started my journey back in 2010, I moisturized and sealed my ends every night with Scurls/olive oil. Hair always grow but it breaks when it is dry. It is very important to take care of those ends. A small amount goes a long way. I would co wash on Wednesday (simply using a conditioner instead of shampoo when you wash you hair). I would make sure I go to sleep with satin bonnet or wrap every night. 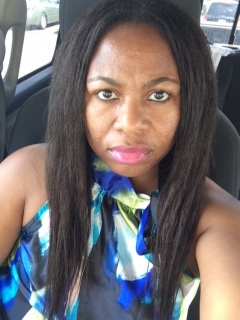 I only flat iron after I relaxed my hair, which was every 4 to 6 mos. I would deep condition on Saturday. I would add a little oil to my conditioner. I would shampoo 1x a month with a clarifying shampoo. I would use a leave in conditioner after I wash my hair. I would do a protein treatment 1x a month. I would oiled my scalp 2x a week with olive oil. As time went by, I began to experiment with other oils also. When my hair was shedding, I would do a black tea rinse (get black tea from the grocery store and brew it, let it cool and pour it on your hair). Make sure to add conditioner to the hair after the black tea rinse to decrease the hardness associated with the black tea. I also took a multivitamin in the beginning. My diet was healthier also. I increased my water intake as well. I learned a lot of valuable information on this journey. The routine above is how I started my journey back in 2010. As time progress, I adjusted it because I learned what my hair did or did not need. In the picture above, the rest of my hair is at the back. Presently since my hair is texlaxed (new growth not fully relaxed) I will deep condition once every two weeks to cut down on messing with it. I will co wash in between the deep condition time. I will moisturized and sealed my ends with S curls / olive oil 3x a week. I will oiled my scalp 1x a week. I will do a protein treatment 1x a month. I will shampoo with a clarifying shampoo to remove buildup of product 1x a month. I will also use a leave in conditioner after I wash my hair. I will also prepoo (my definition is adding oil all over the hair from the scalp to the end and putting on a plastic cap before bed) my hair before wash day if my new growth seems unmanageable. It softens the new growth. Clean eating is important also. By putting healthy foods in the body, the hair is also been fed some nutrients to help with the healthiness of it. My favorite protective style is a wig. I bought me a new wig to start back on this hair journey. Do you have a hair care regimen? You’re welcome…Thanks so much for the follow.. and I am following you also. I love what you are doing with AbundantLifeInitiative.com. It’s always a blessings to see inspiration and hope in this world we live in. Pingback: Protein Treatment/How Do You Put Protein in Your Hair?